Hail can cause seeds inside pods to bruise. This bruising can also cause pods to shatter prematurely, although the shatter tendency depends on the extent of hail. If only a few bruises, shatter loss should be minimal. However, if bruising occurs on more than 25-30% of the pod, and the spots turn white or brown, shattering is likely to occur. When those pods will shatter is difficult to predict. Nutrient and fungicide top dress treatments have been promoted to help heal and restart canola after hail. We don’t have published studies on using these or any treatments for this purpose in Western Canada, so it’s buyer beware. Leave a check strip to see if they improved yield. 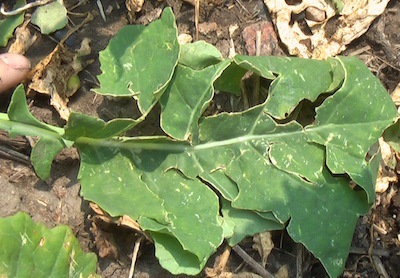 For products that require foliar uptake to work properly, severe hail damage may have striped the leaves, reducing the surface area available for absorption by the plant. 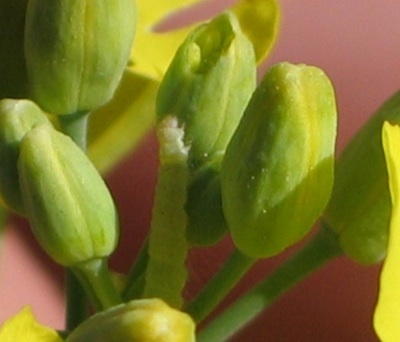 Heat — Foliar boron applied at flowering has been tested on canola in Ontario to as a way to prevent blossom blast during summer heat waves. Four years of grower field studies from 2008-11 found inconclusive results. 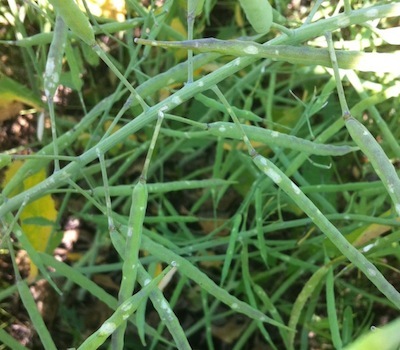 Hail — Nutrient and fungicide top dress treatments have also been promoted to help heal and restart canola after hail. We don’t have published studies on using these treatments for this purpose in Western Canada, so it’s buyer beware. 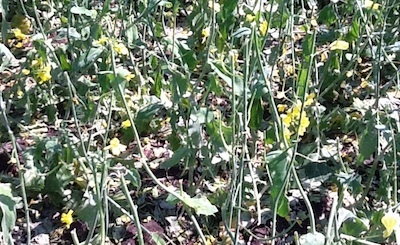 Canola hit with light to moderate hail at up to 20% flower may recover with only minimal to moderate yield loss. Plants will flower longer and compensate. More severe damage warrants a call to the insurance adjuster. Hail that hits canola before flowering or at early flowering may have a minimal effect on yield. Plants will flower longer and compensate.